After bountiful rains last winter, officials now worried that Israel may have too much water. Israelis rejoiced last year when a winter of bountiful rain replenished Israel’s water sources, ending a years-long drought. This year, the Water Authority is concerned again. However, Globes reports that this time, the fear is that Israel will get too much rain – forcing the government to pay desalination plants to stop producing fresh water. 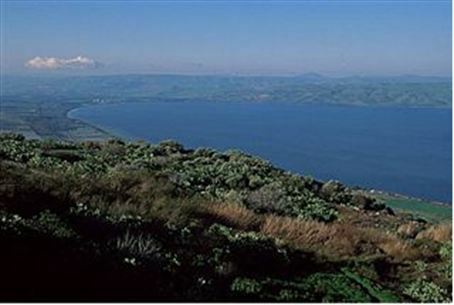 The surface of the Kinneret Lake (Sea of Galilee), Israel’s largest single source of fresh water, is currently 3.5 meters below the “upper red line” above which the lake is at risk of overflowing its shores. Another winter of above-average rain could bring the lake to the brim. The Water Authority could prevent flooding by reducing production at Israel’s desalination plants, thus upping the amount of water drained from the Kinneret for use. According to the report, authorities plan to ask the plants to scale back production by 100 million cubic meters. However, the Water Authority will not only need to pay for the desalinated water it does not buy – albeit at a reduced rate – it will also need to continue repaying the investment in the desalination plants. They rejected calls to sell the “extra” water to consumers or farmers at a reduced rate. “There is no water surplus. There is water production capacity for guaranteeing a reliable water supply, even during droughts,” they said.